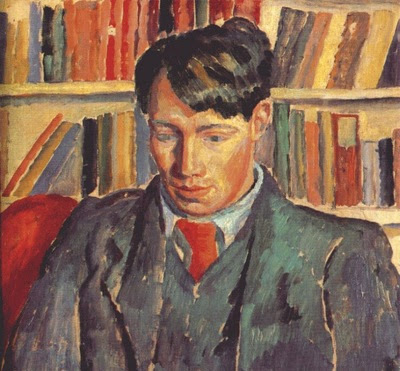 I am a big fan of Dora Carrington as well as the Omega Workshops. One day I was flipping through a book of Carrington's art and came across a small woodcut illustration she had done at the Omega Workshops. The woodcut was done for David Garnett, whom she later painted. 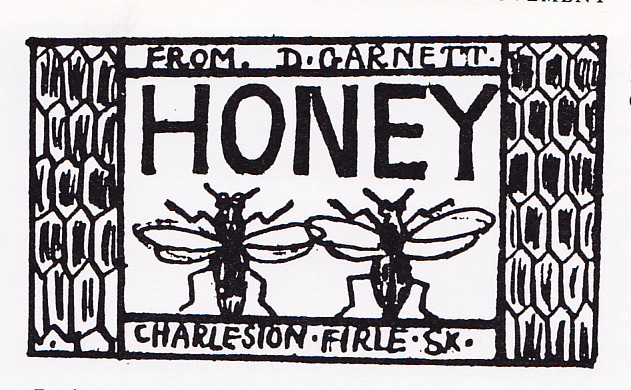 The woodcut was for David Garnett's honey. I later found another version of the woodcut, this one printed in two colors. 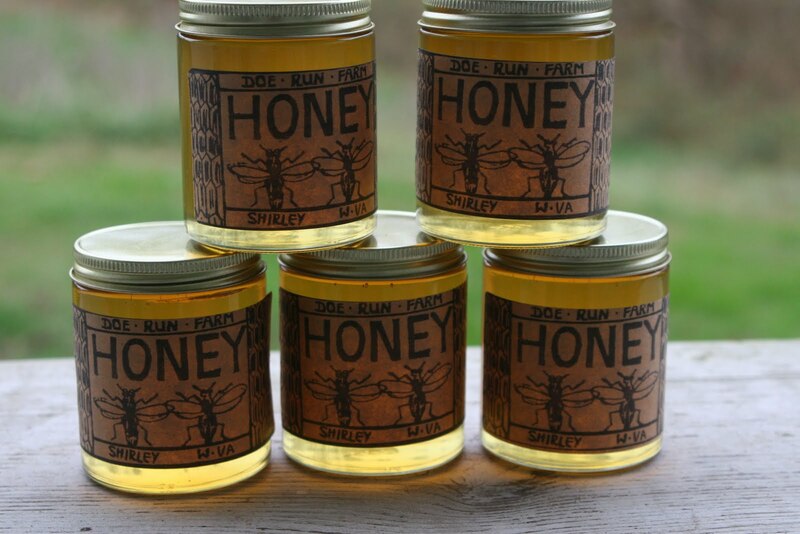 We make honey here at Doe Run Farm... actually the bees make the honey and I just watch. 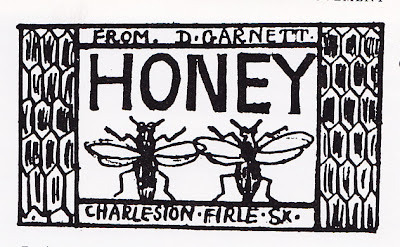 I wanted a nice label for our honey and when I saw Carrington's label I knew I wanted it for our honey. So we appropriated the Garnett label as our own. It is our homage to Carrington and to our bees. That is a beautiful label. I love it and is so fitting for your delicious honey. I just purchased some honey today with honeycomb- I promptly toasted some bread and enjoyed it. I love honey but I'm allergic, sometimes life is a little tragic.